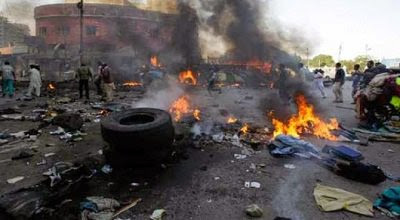 Suspected suicide bombers have detonated improvise explosive devices, IEDs, at the Molai General Hospital in Maiduguri, residents of the area told GIFTED BLOG. The explosions were detonated in series of three. The first explosion was around 3:50 am, while the second and third explosions was around 5:00am and 5:30 am, respectively.